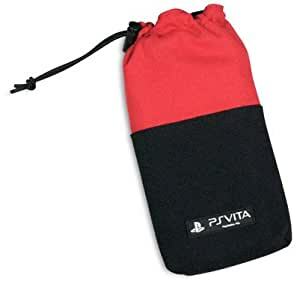 Clean n Protect Kit for PS Vita - Red. 5.0 out of 5 starsGood lightweight Vita case. This took a couple weeks to arrive as it was shipped from Europe, but its exactly what I wanted for my Vita. The device is snug in the pouch/case without being too tight, and doesn't seem to pull on the analog sticks at all when inserting/removing the Vita, which I was worried about. Also includes a light wrist strap and cleaning dongle for the Vita. Its lightweight and not bulky, with one side having a little extra foam padding along the lining.